A premier and unique experience in Valley Center, California that unites our corporate collaborators, whose philosophy of sustainable living not only aligns with our mission but also educates, inspires and supports our community of Comfort Creators and helps heal the families we serve allowing us to thrive together as one. Each year, our Unite, Heal + Thrive event brings families together for a magical time of dining and philanthropy. Melissa Hoff studied music at The Wheaton College Conservatory of Music and holds a BA in Communication Studies from Biola University. As a performer, highlights onstage have included the La Jolla Playhouse, Los Angeles Opera and The Hollywood Bowl with numerous concerts and benefits on both coasts. Melissa is married to Christian Hoff, Tony Award winning actor of Broadway’s “Jersey Boys”, and together they have three daughters. In 2015, their youngest daughter Ella was diagnosed with ALL leukemia and three months later, Melissa was diagnosed with breast cancer. Though a challenging and heartbreaking season for the Hoff family, both are currently thriving and in remission. Through the many cancer challenges, kind hearts have poured out blessings and encouragement on them. Recently, Ella was graciously honored with a beautiful “Room to Thrive” from The Carsyn Neille Foundation. 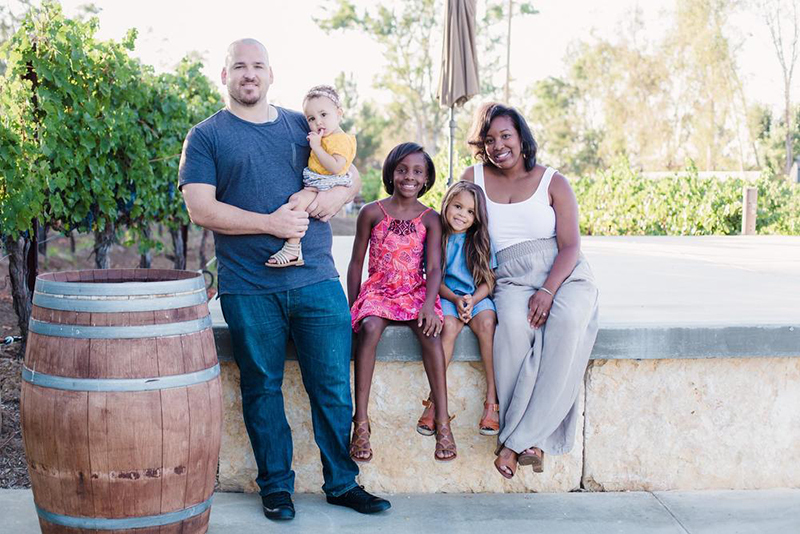 Valet parking, wine and beverage reception, Comfort Coalition meetup, interactive Rooms to Thrive model, Farm-to-Fork appetizers, silent auction & activities by Temecula Clay. Meet the families we’ve impacted and enjoy special performances by Rooms to Thrive™️ recipients Kaelyn Chrapczynski and Rina Sy; learn more about our Comfort Coalition of Contractors and Interior Designers (CCCID), our School + Community Outreach program and our goals for Rooms to Heal by Carsyn Neille and Rooms to Thrive™️. Experience a Rooms to Thrive™️ demo, silent auction and so much more. Enjoy drinks, dessert coffee as you leave with newfound ways to get involved and make on IMPACT with the Carsyn Neille Foundation. Ways to bring awareness and education to your communities about the importance of toxic-free and sustainable living not only in the homes of families affected by childhood cancer but in the homes of all your loved ones. In 2016, a local teacher helping us install Kaelyn’s Room to Thrive referred us to three brothers who owned a sustainable, non-toxic mattress company with the idea that they would donate a few of their 100% organic cotton covered + natural latex filled pillows. We called, we scheduled a pick up for two pillows and within a week met two of the three brother. To our surprise we not only met two awesome men with a passion for sustainability and philanthropy, we met a well-cultured, family oriented company that would collaborate with us and give back in such a huge way. Each Rooms to Thrive™ this year has been blessed with their quality built, non-toxic mattress. That day they not only donated 25 high quality, sustainable and non toxic pillows that we’ve been able to use in each Room they backed our mission whole heartedly as a company and as a family. The mattresses are one of our top priorities to install in each Room. With the absence of toxic substances, allergens and hazardous fire retardants, these mattresses are environmentally friendly. Mattress Makers uses only the finest ingredients, including natural wool from New Zealand and an organic cotton cover. Due to the collection’s pure natural cotton and latex each mattress moderates body temperature that contributes to and supports healthy sleep patterns. Mattress Makers believe a great night’s sleep should not mean exposure to dangerous chemicals and are Oeko-Tex Certified. We’re excited that they’ve committed to collaborating with us for years to come as their generous support has been invaluable in moving our organization’s mission forward. Aesthetically a Room can transform immediately simply from paint. In our early conception stage, we knew that our room transformations wouldn’t be just about creating and designing an esthetically beautiful room but would be about providing healthy toxic-free environments that each child could heal and thrive in. So, we researched until we ran across Colorhouse Paint, formerly known as Yolo Paint. We found this company and saw they held themselves and the quality of their products to a higher standard above and beyond conventional paint companies. From their company culture to their packaging; their collective commitment to families and our planet to their commitment to make the world more colorful and less volatile – we were impressed. We reached out to their color nerds and without any hesitation they were on board to collaborate and support families affected by childhood cancer. They too have become a priority in each Room we transform and their harmonious color palettes constantly inspire us as well as the families we meet. Our families expect to walk into a Room that’s been freshly painted, to strong odors which are known as Volatile Organic Compounds (VOC’s). But by using Colorhouse interior paints we’ve been able to minimize the indoor contamination in each Rooms to Thrive™ install as Colorhouse paints are low-odor, zero VOC, and Green Wise Certified* and do not contain the following chemical compounds as ingredients: methylene chloride, 1,2 dichlorobenzene, phthalates, isophorone, formaldehyde, methyl ethyl ketone, methyl isobutyl ketone, and the following heavy metals: antimony, cadmium, hexavalent chromium, lead, and mercury. In 2017, their commitment to donate cans of paint for every Room and their commitment to move forward in collaboration for years to come not only advances our impact but strengthens our mission tremendously. Hathaway Painting provides a variety of custom exterior painting services to ensure your home stands out among the rest. Whether you’d like to update your home’s traditional exterior or you’re hoping to present a more modern curb appeal our team approaches every exterior painting project with detailed knowledge. They've ensured that every Rooms to Thrive paint service need is identified before their painters arrive. With each Room, their crew comes prepared with a clear understanding about the specifics of each space and family's needs before they begin. We're so grateful for their commitment and support as we partner to comfot and support families affected by childhood cancer. Curby's Nursery is family owned and family run business that supplies landscape contractors and homeowners with quality plants at a discount price. In 2017, they supplied every Rooms to Thrive™ with quality air purifying and decorative plants for our family. All of their plants are Southern California grown and are acclimated to the Southern California climate. Their generous pledge to continue providing plants for our Rooms and their countless hours volunteering have brought hope and air purifying resources to the families we've served throughout Southern California. Danceology Performing Arts Camps was established in 2003 under the direction of Nicole Lucia. The studio provides dance programs committed to making the art of dance a meaningful and inspiring experience for all students. Danceology® enrolls over 600 students annually and provides classes for preschool to collegiate age. The dance programs at Danceology® are structured to cater to the dancer interested in pursuing a career in dance as well as one who dances for recreation. With special thanks to Nicole Lucia and Julia Pearson for spearheading our Lemonade for Carsyn Neille the whole month of September 2017. When it comes to sustainability, this local Farm to Table eatery sets the bar. Extraordinary Artisan Table, uses only the freshest, locally sourced, organic and non-GMO ingredients in everything from the coffee they serve to the cuts of meat that adorn each plate and everything in between. Because what we put into our bodies, heavily impacts how we thrive, nutrient dense foods, from well sourced farms, is of the utmost importance to the community that we serve. Chef Leah and the EAT Marketplace staff have been our allies in advocating for childhood cancer and in doing whatever possible to help us ensure that thrivorship is at the forefront of everything we do. In September 2017, EAT collaborated with us by hosting a “Golden Donut” fundraiser for childhood cancer awareness month with all the proceeds benefitting the Carsyn Neille Foundation. Their contributions have greatly impacted our ability not only to provide Rooms to Thrive for childhood cancer families but also our advocacy and spreading awareness for this heinous disease. We are so proud and grateful for this partnership. The Carsyn Neille Foundation (CNF) presented a “friendraising event to UNITE, HEAL + THRIVE” May 5, 2017 at the Fairbanks Ranch home of Henny and Sandra Den Ujil. The event included entertainment, wine, food and education. The Carsyn Neille Foundation is a community-driven, grassroots organization that is passionate about improving the quality of life of children affected by childhood cancer and dedicated to helping families heal and thrive through our therapeutic living renovations. The Carsyn Neille Foundation is a passion project birthed from our family’s own personal tragedy. Our mission is to support and comfort families affected by childhood cancer through the transformation of their interior home spaces, providing them a sanctuary and a advantage towards healing and thriving. By creating spaces that are not only beautiful, but that are sustainable and have less of a toxic load to the environment, we assist in increasing the quality of life for each family, both in treatment and beyond. We firmly believe that one’s interior living space can trigger the brain's healing process and potentially contribute to more than 30% of any cure. Rooms to Thrive™ provides families with a child affected by childhood cancer a safe, sustainable and non toxic Room to heal and thrive during and/or after treatment. Rooms to Heal by Carsyn Neille provides parents who have lost a child to cancer a space to grieve and heal in. From creating a whimsical woodland bedroom for six year old Ella diagnosed with Acute Lymphoblastic Leukemia at the age of three; transforming a blank space into a rustic blue oasis for 10 year old Rina diagnosed with Acute Lymphoblastic Leukemia – Philadelphia Chromosome at the age of 5; to creating a relaxing Moana themed space for a sweet 6 year old Isabella also diagnosed with Acute Lymphoblastic Leukemia at the age of four; each experience has exposed the resilience in a community overlooked, has allowed awareness about the importance of keeping your environment clean from invisible toxins that may contribute to many different types of cancer spread and, has created a ripple effect of philanthropy within each city that has graciously joined their efforts to support, comfort and increase the quality of life for each child. Meet and read more about our families here. Our Comfort Creators group is a network of parents, nurses, doctors, researchers, educators, and community who are not only passionate but also dedicated to helping families affected by cancer heal and thrive. The group is designed to give members an intimate access to all the pieces involved in our Rooms to Heal and Rooms to Thrive processes. This is a one stop shop to find out what’s needed and what’s happening with each Room we create. Feel free to join here. Our Coalition of Interior Designers offers leading interior designers and professionals within the Leadership in Energy and Environmental Design (LEED) industry a platform to gift their creative talents to families affected by childhood cancer, and use their knowledge to collaborate with the families so they may maximize the quality of lives for each child. Together, we understand that a sustainable, non-toxic environment has a powerful impact on our healing, as it lowers health risks for all cancer patients and survivors. We believe this new coalition will broaden our impact, and allow more talented individuals with a heart for healing to contribute to the quality of life of those who need it most. Sign up with your email address to receive Unite, Heal + Thrive news and updates! We respect your privacy and will not share emails with other entities.